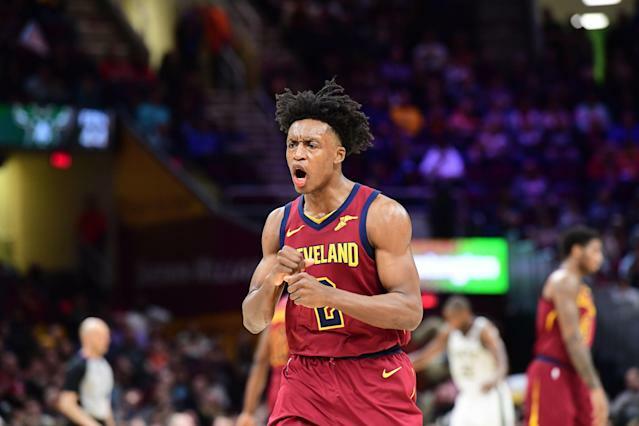 Fantasy basketball sleepers can be categorized as players who are seeing an increased role due to an injury and/or rotation change, as well as players who may have a favorable schedule with a reasonable amount of games for the week. On the other hand, fantasy basketball busts will focus on notable players who you will most likely have to start in your lineups anyway, but may have fewer games for the week and/or potentially tougher matchups. It’s difficult to bench anyone in fantasy basketball, but tempering your expectations for their production this week might be the best way to go about it. Hey folks! Welcome to another week of my player predictions. For those of you who have been reading this weekly, I wanted to share that I made my home league’s championship game, but failed to bring home the trophy. It was much better than I expected, however, as I entered the playoffs as the sixth seed. The good news is that I did get some pocket change for my second place finish. In basketball news, the Lakers are officially out of the playoff run. It is the first time since the 2004-05 season that LeBron James will not reach the postseason. Here are some things that occurred in 2004: The Games of the XXVIII Olympiad were held in Athens, Greece. Former President Ronald Reagan dies at 93. A six-day state funeral follows. George W. Bush was re-elected president. Tom Brady won a Super Bowl. Mark Zuckerberg launches Facebook from his Harvard dormitory room. It was the year I met my wife. 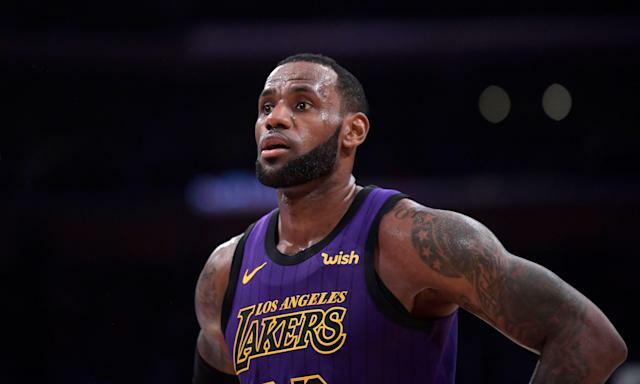 The NBA season is reaching its end and at this time of year, you will see a lot of rotation changes, players being rested, and teams giving their younger players some extra run. It is something that you have to keep a close eye on. Over the last week, we have seen Stephen Curry, Mike Conley, Anthony Davis, and Kawhi Leonard (to name a few) sit out due to rest purposes. Aside from that, there are injuries to monitor, as well. As per usual, I will dig into the upcoming week and go over some player predictions. Sometimes in life, all we need is a chance. Once that chance is given some may flourish, while others may not. Bryant has been given that chance, moving into the starting lineup for the Wizards and the results thus far have been very good. In the two games that he has started, he scored a combined 39 points with 19 rebounds and two blocks. He’s proven this season that when given the opportunity, he can be a very productive player. In fact, in games where he has played at least 24 minutes this season, he is averaging 17.6 points, 10.3 rebounds, 1.7 assists, 1.5 blocks, and 0.5 steals, while shooting 69.6 percent from the court and 82.5 percent from the free throw line. Coach Scott Brooks talked about how the team wanted to take a look at Bryant and Bobby Portis together in the front court, as this could be their look next season, so I fully expect Bryant to continue seeing those minutes. Washington plays four times this week and get some really strong matchups for centers. They face off against the Suns, Lakers, Jazz, and Nuggets. Three of those teams are yielding over 54 Yahoo fantasy points per game to opposing bigs and two of those teams surrender over 16 rebounds per game to the position. Bryant remains available in over 60 percent of Yahoo leagues and so long as he is in the starting lineup, he should be owned in most formats. He is a great source of points, boards, and field goal percentage, and despite being a big man, he will not hurt you in free throw percentage. Sexton has been playing really well the last two weeks, scoring at least 20 points in each of his last eight games. During that stretch, he has averaged 35.3 minutes, 25.5 points, 2.5 rebounds, 3.0 assists, 0.3 steals, and 0.1 blocks. He has been phenomenal from beyond the arc, shooting 56 percent and draining 28 three-pointers in that span. He lacks peripherals, but that is fine for someone who has been scoring at will like he has. This week the Cavs play three times and get two very good matchups for point guards. Both the Spurs and Clippers allow over 24 real points and 45 Yahoo fantasy points to opposing point guards. They also rank 18th or worse in defense rating for the season. The rookie is really finishing the season strong and there is no reason to believe he slows down anytime soon. For some odd reason, he is still available in 31 percent of Yahoo leagues and that should not be the case. As a Heat fan, I couldn’t be more excited about Adebayo, who has really displayed a well-rounded game and continues to be a very exciting player to watch. He had a very strong performance on Saturday, falling two assists short of a triple-double. Since February 25th, Adebayo has averaged 26.4 minutes, 11.8 points, 8.5 rebounds, 3.5 assists, 1.1 block, and 1.0 steals per game while shooting 61 percent from the court. He can stuff the stat sheet on any given evening and even on his worst nights, he contributes in multiple categories. His ability to be productive on both ends of the court should keep his role solidified down the stretch as Miami hangs onto the 8th seed in the East. This week the Heat play three games against the Knicks, Mavericks, and Magic. Both New York and Dallas rank 19th or worse in defense rating. These are matchups that Adebayo should eat in. He has struggled against the Magic this season and that’s to be expected as they have been a good defensive team, so don’t be surprised if he struggles in that game. The Bucks are dealing with injuries, which has led to more playing time for Connaughton. Since Malcolm Brogdon has been sidelined, Connaughton has averaged 30.8 minutes per game to go along with 9.0 points, 6.0 rebounds, 3.3 assists, 0.8 steals, and 0.3 blocks, while shooting 50 percent from the court. Even before the Brogdon injury, Connaughton saw an increased role. In fact, since the start of March he has averaged 26.1 minutes per game, compared to the 19.4 minutes per game he is averaging for the season. The Bucks play three times this week and get three solid matchups against the Rockets, Clippers, and Hawks. All three teams rank 18th or worse in defense rating and two of the three teams are top-10 in game pace, making this a favorable schedule for Connaughton. He remains unowned in over 90 percent of Yahoo leagues. He’s also been a great DFS value play in recent weeks and should continue to be just that if his price remains reasonable. Listen, as bad as bacon is for you, it has to be considered one of the best foods of all time. I mean, it goes well with breakfast in the morning, on a burger, wrapped around a steak, on its own, on a baked potato, on pizza — the list goes on. That said, there’s a different type of Bacon in the NBA and he has been playing solid as of late. The Hornets recalled Bacon from the G-League earlier this month and he has now moved into the starting lineup for the injured Nicholas Batum. Since March 8, Bacon has averaged 25.6 minutes, 8.6 points, 3.1 rebounds, 2.0 assists, 0.4 steals, and 0.3 blocks. The Hornets play three times this week and get some favorable matchups. The face off against the Spurs who rank 20th in defensive rating for the season, the Lakers who rank 24th in defensive rating in the month of March and play up in pace, and the Warriors who also play at a fast pace. Bacon doesn’t do anything particularly well, which is why I’d say he’s not of the Applewood smoked variety, but he can still be useful especially since he is receiving the minutes. He is essentially unowned in Yahoo leagues. The Lakers will not advance to the playoffs this season and James has been battling injuries, so chances are the team give their star player some nights off down the stretch. The Lakers do play four times this week, but have a back-to-back and they draw one matchup against the second toughest defense in the league. Whenever James is on the court, there is no denying his production and his dominance. That said, it’s tough to think that he will play in every game down the stretch. In fact, he has missed two of his last five games. When active, benching James is not an option, but considering the situation in Los Angeles, you may not be getting the complete schedule for him this week while also factoring in the tough matchup against the Jazz. Conley has played lights out since March 5th, averaging 34.1 minutes, 28.6 points, 3.9 rebounds, 7.6 assists, and 1.0 steals per game during that stretch. This week, the Grizzlies play four games and two come against defenses ranked top 14th in the league. Two of those contests can turn into blowouts this week, as they face the Warriors and the Thunder, two teams that Conley has struggled against this season. In addition to those risks, Conley has missed four games since the start of February and it wouldn’t be at all shocking to see Memphis rest him at one point this week. There’s a good chance he has two very strong outings this week, so long as he plays against the Suns and Clippers. That would be best case scenario for Conley owners, but either way I’d be tempering expectations for him this upcoming week. LaVine has been battling a thigh injury that has forced him to miss the last two games. He was listed as probable for Saturday’s game, but ended up being a late scratch. This just tells me he was close but was not able to play, so I fully expect him to be on the court in the Bulls next game on Tuesday. With that said, he draws two very tough matchups this week and plays just three games, so there is a good chance that LaVine struggles. The Bulls play the Raptors twice, a team that ranks sixth in defense rating and limits shooting guards to 39.4 Yahoo fantasy points per game. The other game for the Bulls comes against Portland, who allows the sixth fewest points and fifth fewest Yahoo fantasy points per game to opposing shooting guards. As much upside as LaVine offers anytime he is on the court, he faces some unfavorable matchups this week, so I’d be tempering my expectations on him because of that. That’s it for this week, feel free to reach out to me with any questions on the Twitter machine @Armando_Marsal. Good luck to everyone this week!